Best Android Apps for Backup lists the apps which can backup apps, contacts,call logs and more with some simple clicks. Backup is needed for any serious Android Tablet user and hence this list of Best Android Apps for Backup is here for you. You can type or copy any name of the Apps listed in this list?of Best Android Apps for Backup and search it in Android Market Place using the Search function. MyBackup Pro : MyBackup Pro is the easiest backup for Android. Supporting the most content, and the most Android devices. Titanium Backup : Needs rooted phone/tablet, powerful tool. Backup ALL apps, Market links, remove bloatware too. AirDroid : Android users can manage AirDroid with their smartphone over the air using a web browser and thereby secure their SMS, apps, photos, contacts, ringtones and music files easily on your PC. In addition to the backup AirDroid offers some additional features. MyPhoneExplorer Client : MyPhoneExplorer client can synchronize data from your smartphone with corresponding data on the PC: Address Book (Outlook, GMail, Windows address book, Thunderbird, SeaMonkey, Lotus Notes and Tobit David), calendar (Outlook, Google, Sunbird, Thunderbird, SeaMonkey, Windows Calendar ( Vista), Rainlendar, Lotus Notes and Tobit David), SMS, photos, call logs, profile settings, and much more. MyPhoneExplorer client can be used free of charge. 4EXT Recovery Control : Only for ROOT users with S-OFF devices! This is the must-have application for everyone using or planning to use 4EXT Recovery. Slight backup : A very simple open source (MIT-license) backup program. A very simple open source (MIT-license) program that can be used to backup. 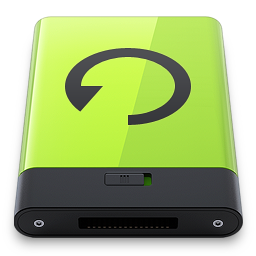 Backup & Restore BackMeUp Lite : BackMeUp can backup and restore applications and data. We hope that you have found your choice from our list of Best Android Apps for Backup. This Article Has Been Shared 4502 Times! Cite this article as: Abhishek Ghosh, "Best Android Apps for Backup," in The Customize Windows, December 8, 2011, April 18, 2019, https://thecustomizewindows.com/2011/12/best-android-apps-for-backup/.